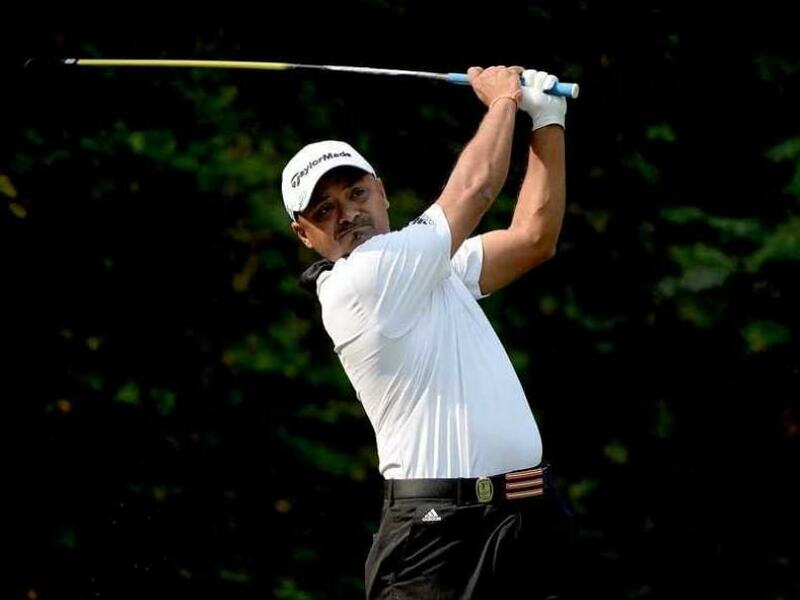 Rahil Gangjee scored birdies on the fifth, 10th and 18th holes to trail co-leaders Keith Horne of South Africa and Berry Henson by two strokes. Gangjee scored birdies on the fifth, 10th and 18th holes to trail co-leaders Keith Horne of South Africa and Berry Henson by two strokes. "It was a simple round but effective one. If it was anything, it was the heat as the wind died down so you feel it more when there's no wind. The course is looking good," Gangjee said in an Asian Tour release. Second best Indian was Rashid Khan, who scored two-under till the 14 holes as the opening round was was suspended due to lightning threats. He was tied 11th. Shiv Kapur and Himmat Rai managed 70 each to share the 21st spot, while S.S.P. Chawrasia was tied 37th on even-par 71. Meanwhile, 44-year-old Horne, who is still searching for his maiden victory on the Asian Tour, mixed his card with seven birdies and two bogeys to take a one-shot advantage over South Korea's Byeonghun An and World No.1 Jordan Spieth of the United States after the duo returned with matching 67s. American Henson, a one-time Asian Tour winner, was five-under through 17 holes while Thailand's Namchok Tantipokhakul lurked closely behind at four-under after 14 holes before play was brought to a halt for the second time at 6.39pm (local time) because of lightning. A total of 57 players will resume their first round rounds at 7.30am with the second round scheduled to commence at 8.10am. Horne narrowly kept his playing status on the Asian Tour by finishing in 59th place on the Order of Merit last season. However the South African's return to the Sentosa Golf Club has brought back the early cheers and sparkle to his game. Spieth showed no signs of nerves despite playing at the Serapong course for the first time. He enjoyed a bogey-free run highlighted by an opening 20-footer birdie putt. "My speed control was great, with no three putts, I had a lot of putts over 30 feet today, I know I was not hitting it close enough but I managed to hit the fairway to a good number and get onto the greens where I just need to two-putt. It was pretty stress free and but there were no real opportunities," said Spieth.